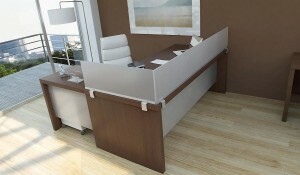 Home/cubicle extenders/Do Your Cubicles Enhance Collaboration? We agree. Flexibility is one of the best features of our panel extenders. They let you experiment freely at a very low cost. It only takes a few minutes to install, uninstall or move a panel extension to a new location. You can increase cubicle height easily in various configurations to find out what really works for increasing meaningful communication and collaboration.